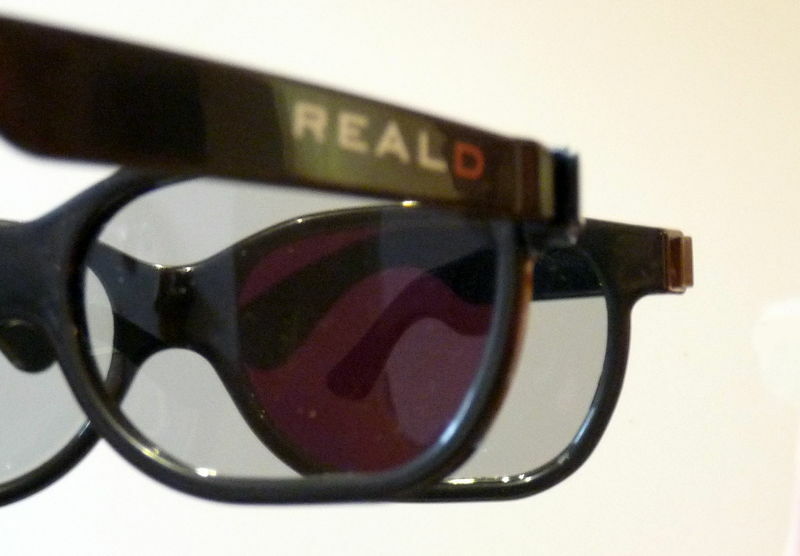 RealD Cinema is a digital stereoscopic projection technology made and sold by RealD Inc. It is currently the most widely used technology for watching 3D films in theatres. RealD 3D cinema technology is a polarized 3D system that uses circularly polarized light to produce stereoscopic image projection. The advantage of circular polarization over linear polarization is that viewers are able to tilt their head and look about the theater naturally without seeing double or darkened images. However, as with other systems, any significant head tilt will result in incorrect parallaxand prevent the brain from correctly fusing the stereoscopic images. Because RealD 3D uses a single projector, it suffers a brightness disadvantage. The system causes "significant light loss"; RealD estimates the viewer sees about 35% of the light when viewing RealD 3D when compared to a similarly projected 2D image on a standard white screen. The high-resolution, digital cinema grade video projector alternately projects right-eye frames and left-eye frames, switching between them 144 times per second. The projector is either a Texas Instruments' Digital Light Processing device or Sony's reflective LCOS (Liquid crystal on silicon). A push-pull electro-optical liquid crystal modulator called a ZScreen is placed immediately in front of the projector lens to alternately polarize each frame. It circularly polarizes the frames clockwise for the right eye and counter-clockwise for the left eye. The audience wears circularly polarized glasses that have oppositely polarized lenses that ensures each eye sees only its designated frame. In RealD Cinema, each frame is projected three times to reduce flicker, a system called triple flash. The source video is usually produced at 24 frames per second per eye (total 48 frames/s), which may result in subtle ghosting and stuttering on horizontal camera movements. A silver screen is used to maintain the light polarization upon reflection and to reduce reflection loss to counter some of the inherent losses by the polarization filters. The result is a 3D picture that seems to extend behind and in front of the screen itself. 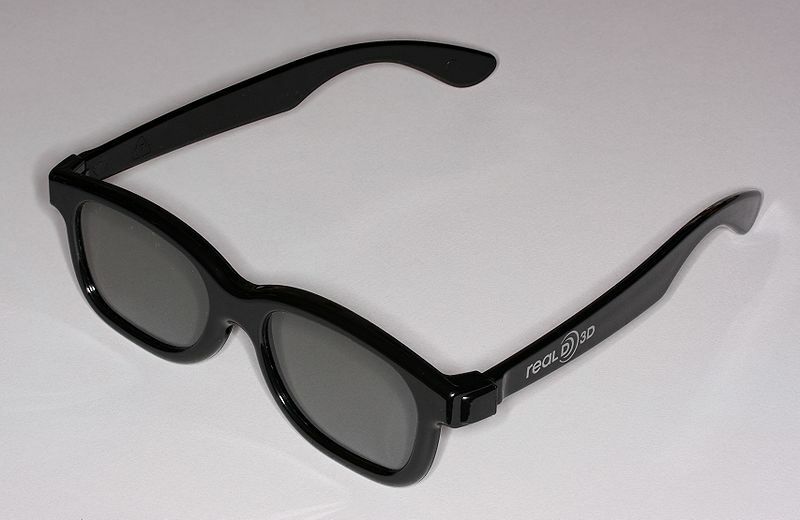 3D systems for movies using polarized light cause a loss of screen brightness due to the inherent filter absorption. The polarization filter in front of the projector blocks half of the projected light, and then split again one half for each eye, resulting in only 25% of the projected light reaching the eye. This is compensated somewhat by the silver screen which boosts the brightness to about 35% of the original. The overall effect is that of wearing a pair of slightly darkened glasses in a standard movie theater, which could be compensated for by using brighter projector lamps. Some viewers of 3D movies complain of headaches or nausea during or even after viewing. Those problems can be caused by the viewer tilting his or her head, making it harder for the brain to fuse the two images (due to parallax mismatch between the eyes and the cameras). It can also be caused by rapid transitions in the movie between scenes of very different depth. Consequently, directors and editors of 3D movies should avoid such transitions. "Real D 3D Theatrical System"